In this Webinar you will receive a solid and clear understanding of how to track Natural Time in your life, simply. By devoting 5 mins a day to bring awareness of each days energy in order to contemplate throughout the day. Learn how to ‘decode’ yourself and all the people in your life and receive the benefit of the deeper perception of lifes learning. Bring your questions and be ready to receive the Keys to unlocking harmonic consciousness and begin the journey of deconstructing disharmony, in favor of a life full of the magic of synchronicity. This is the first of 2 Webinars, the second will be the following week at the same time. For those already subscribed and paid for the Webinar, please send your email address to lovevasumi@yahoo.com, and I can send you connection details. For those yet to subscribe and pay, you can go to my PayPal and send $33 to my email address lovevasumi@yahoo.com, and enter Webinar, and I can send you connection details. For those that would like to pay for both Webinars, send $55 to the above. And those that have paid for the first one and would like to attend the second, just send $22 to the above PayPal for the second webinar the week later. 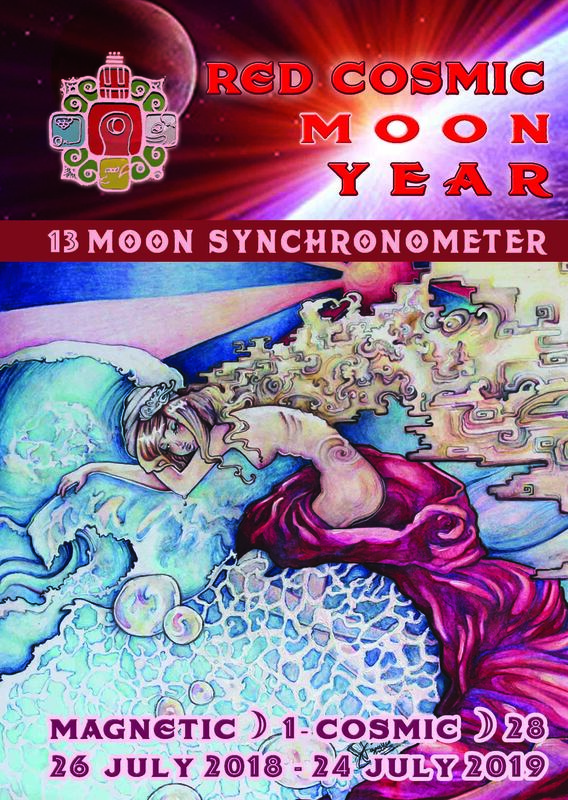 Included in the cost of the Webinar is a downloadable PDF of this years 13 Moon Journal for the RED COSMIC MOON. The Webinar will go into detail around tracking Natural Time with this book, plus giving clear instructions on how to attune to the harmonic matrix in detail. Supported to live purely in Natural Synchronicity. We are in the 13th year of 13 years of Purification. A transcendent year of expansive awakening for the whole planet, with an increased need to be aware and responsible for the state of our Earth, and finally some of the powers that be, and for the rest, the intensity will build! Track the days to be more greatly attuned to the natural cues of the planet and the cosmos. With daily reminders of our connection to the weave and weft of life and the messages the Earth is sending us, in order to survive and thrive! When is the next classes?